The great and the good of the Yorkshire business community congregated at the Yorkshire Inn – a pop-up pub at Baker Tilly’s office in Wellington Place in Leeds – to mark the official launch of the enlarged Baker Tilly firm following its merger with RSM Tenon last year. 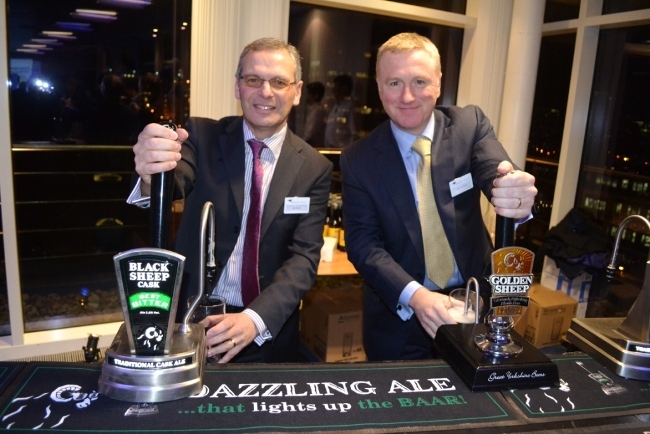 Representatives from the region’s major banks, law firms and private equity houses all attended the event, where guests were able to taste regional delicacies and sample drinks from The Black Sheep brewery in North Yorkshire, one of Baker Tilly’s clients. The entertainment was provided by local artists from the Leeds College of Music. “Back in September last year, Baker Tilly’s merger with RSM Tenon catapulted the firm into the big league in Yorkshire, and this has allowed us to strengthen and expand our offering to clients and intermediaries in the local market. “After a tough few years, things seem to be looking up for the Yorkshire economy. “Our recent survey of SMEs in Yorkshire found that around 40 per cent are confident about their growth opportunities in the coming year, 80 per cent expect turnover to grow and one sixth look set to hire more staff. Following its merger with RSM Tenon, Baker Tilly is now one of the top four accountancy firms in the Leeds market, with around 25 partners and 300 staff.